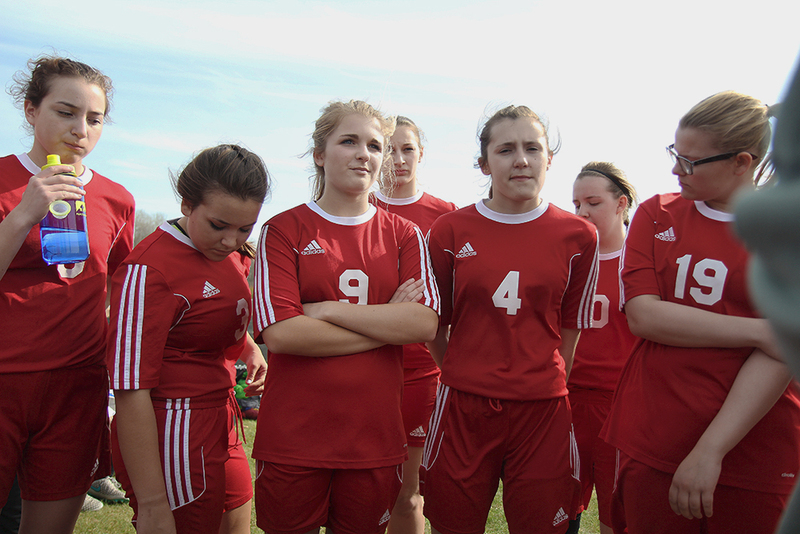 0-1 at halftime. 0-3 at end of game. Sunny, warmish. 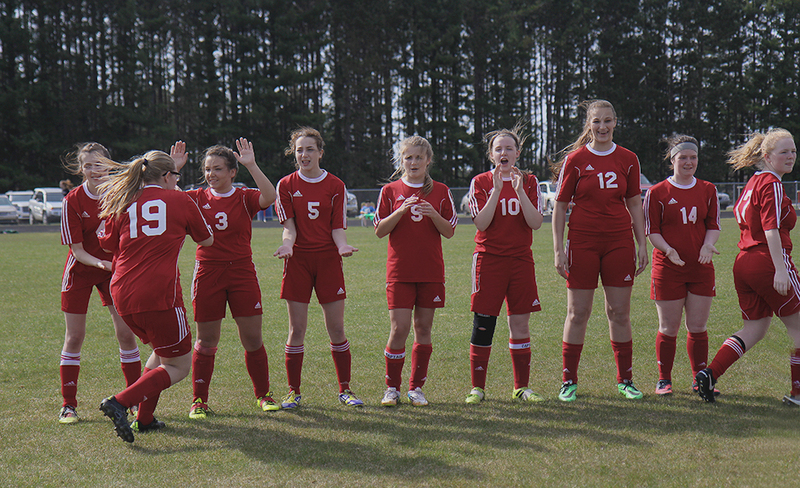 This was the third game of the 2016 season and the second away game for the Benzie Central Girls Varsity Soccer team. 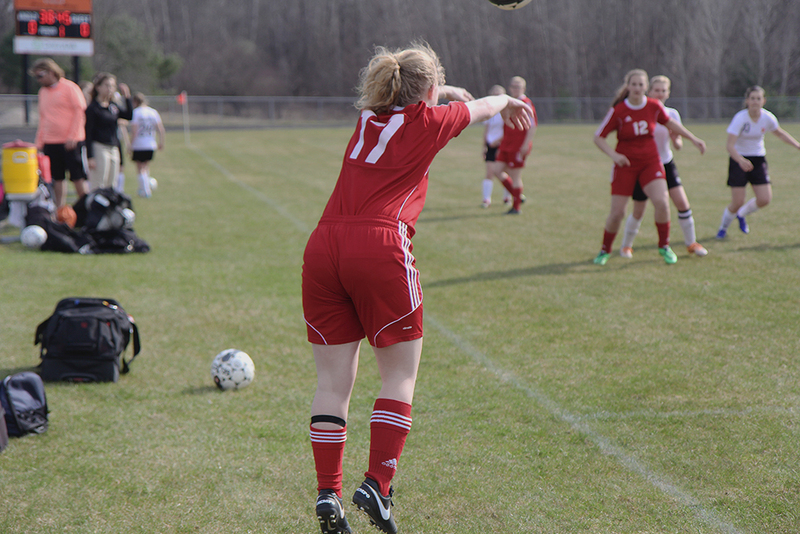 There were six shots on goalkeeper Maile Church during the first half, two of which went in. 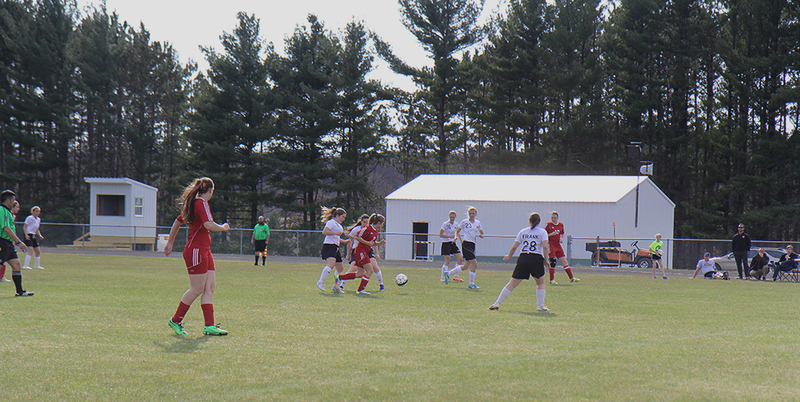 All but one of these shots were from #23, Kingsley freshman Hannah Dutton. 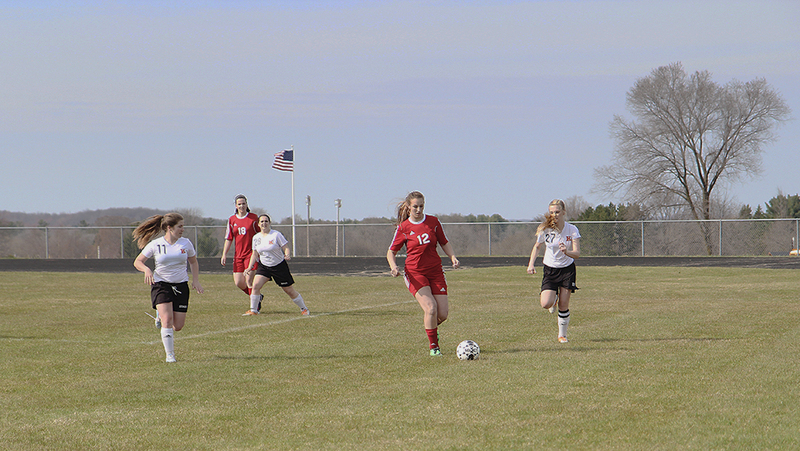 Kingsley junior Madelin Naber, #27, scored her only shot of the game at 13 minutes into the first half, and she was assisted by Kingsley sophomore Kelsie Bies, #18. The goal was scored inside the 6-yard line. 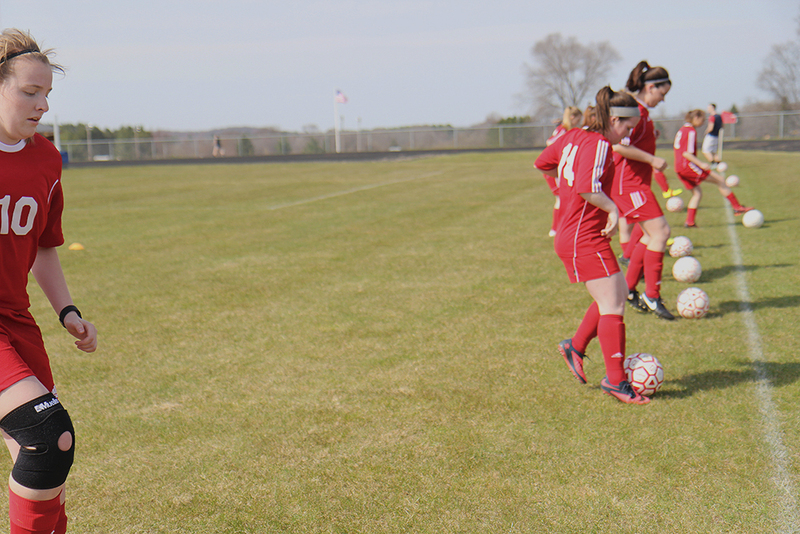 #23 Dutton scored ten minutes later, with 17 minutes left in the first half, from a direct penalty kick as a result of Benzie’s Tylor Kistler having a handball in the box. 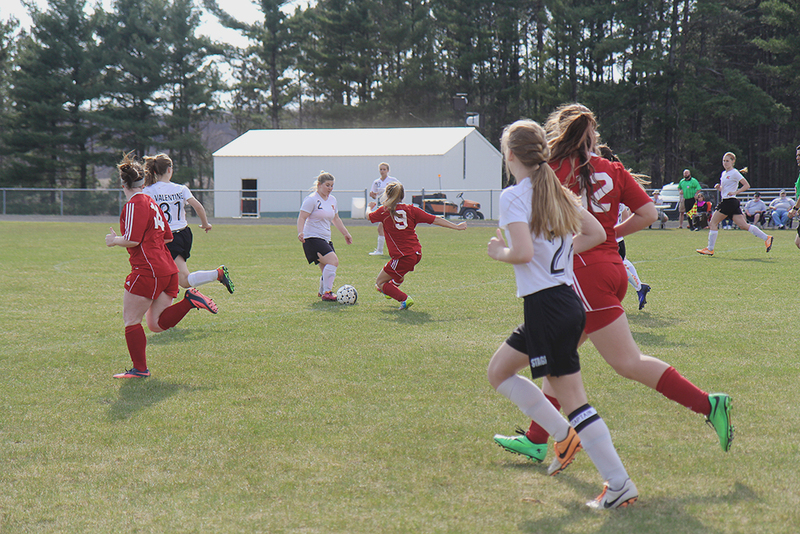 Benzie had three shots (two by Sydney Ghering and one by Allana Bostick) but no goals during the first half. 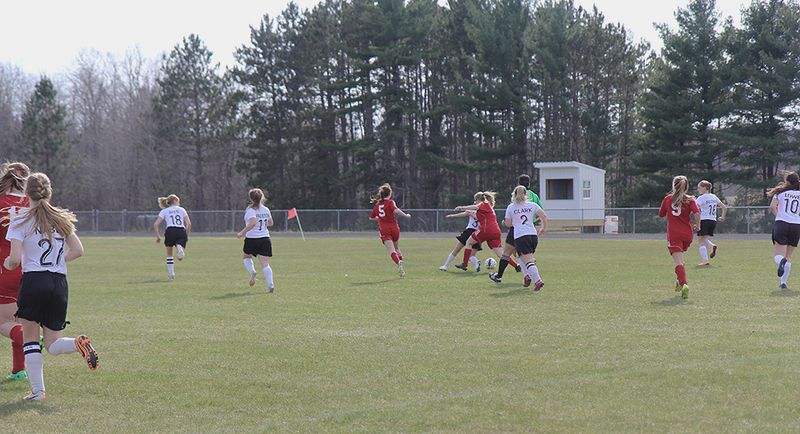 During the second half, Maile transitioned out of net and Sydney transitioned in: Sydney had two shots taken on her, one of which went in at 19 minutes into the second half. 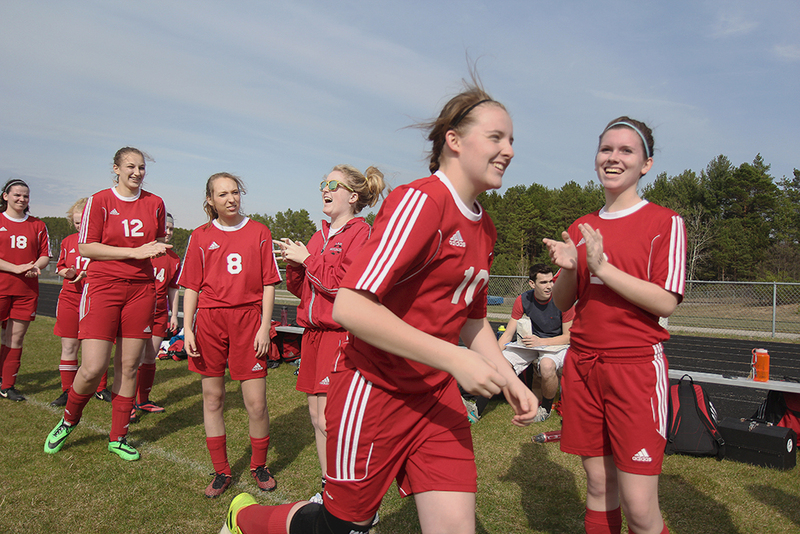 The goal was by Kingsley sophomore Brianna Breithapt, #16. 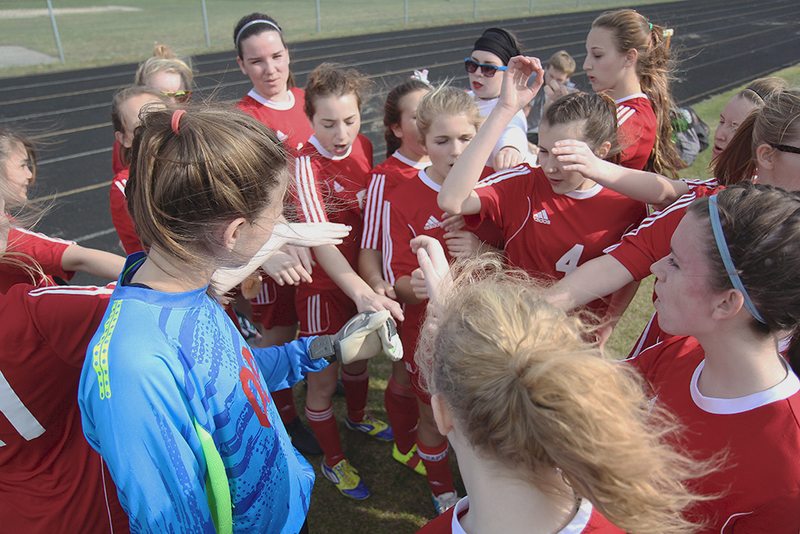 The Lady Huskies took two shots (Maile Church and Fenja Firnhaber) but remained scoreless at the end of the game. 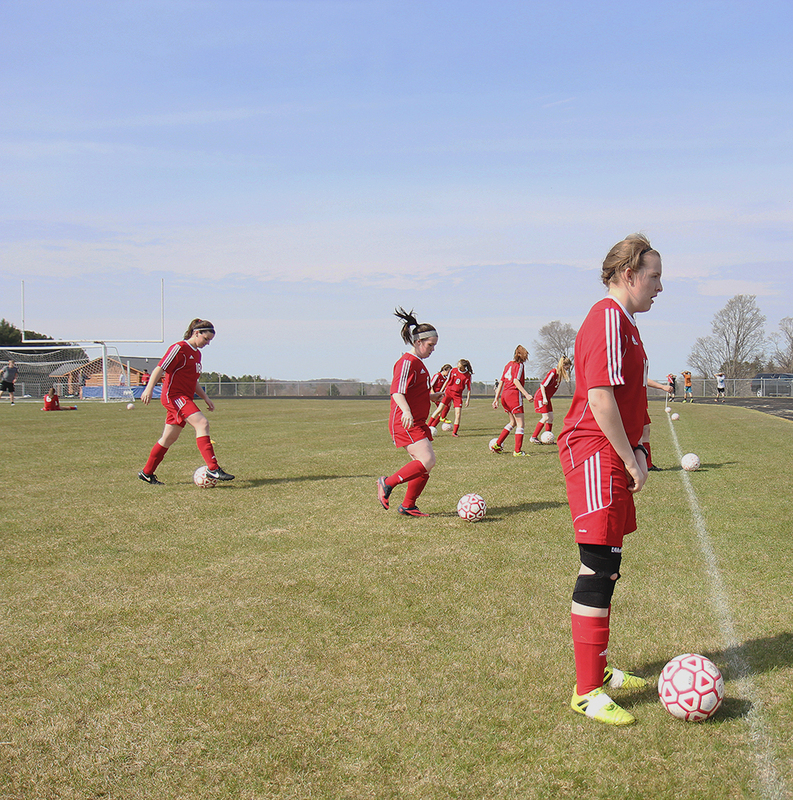 Most of our mistakes came from positioning problems, which is no big surprise because we have a lot of new girls this year; many of our problems stem from not spreading out on the field or knowing when or how to transition when the ball moves up and down the field. This is something that we will finally get to work on in practice later this week; it’s much different to model this outside, compared to when we were playing in a much smaller, righter space inside the gym earlier this season. 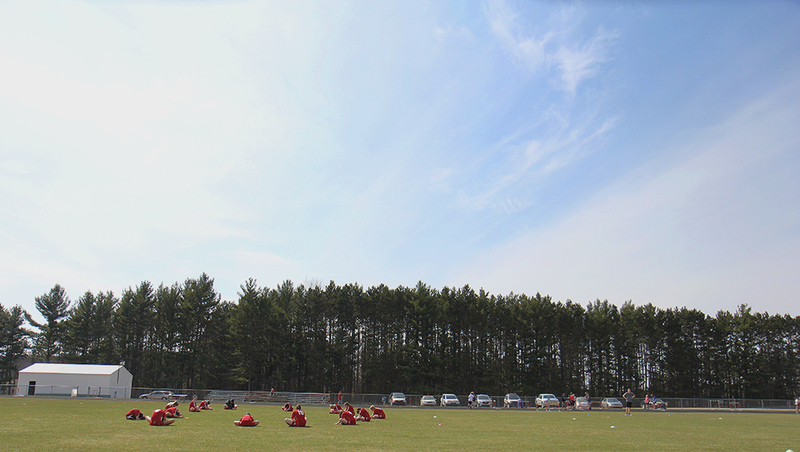 As a reminder, our girls have only had five practices outside so far this season! We were missing: Brenna Harm (suspended for the first five games), Ayla Brauker (needs 10 practices before she is allowed to play in a game), Hanna Burch (chronically injured from pre-season). We had three substitutes. Kim Ghering (Sydney’s mom) brought trail mix for a halftime snack.